Call it Loretta Young meets Carol Burnett. This is part catechism class, part stand-up routine. It’s an interactive comedy, one of the longest running shows in Chicago and U.S. theater history. The New York Times calls it, "hilarious, well-written and inspired." 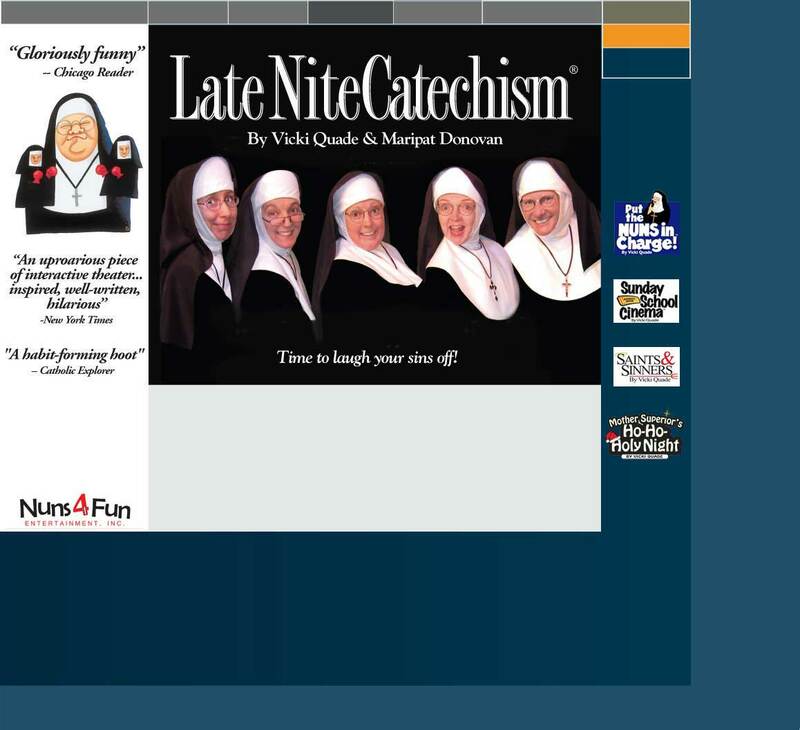 Jeffrey Lyons from TV’s Sneak Previews calls Late Nite Catechism "something to savor and enjoy....one of the most intimate, rewarding shows in town." You, the audience member, are part of Sister’s class. She’ll take you back to the days of the Latin Mass, meatless Fridays, and remind you about that good old ruler across the knuckles!